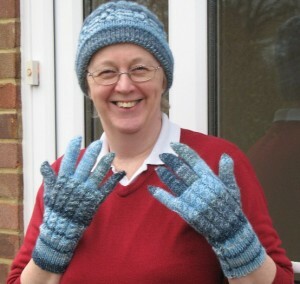 Life’s been far too busy lately so it’s taken me far too long to finish the gloves. Now the cold weather is here I’ve made the effort to finish them. They’re warm and snug and have nice long cuffs so the wrists stay warm too. The pattern was JB058 from James Brett and the yarn is James Brett Woodlander Double Knitting.